From the login screen, enter your BeyondTrust site hostname, such as access.example.com. Then enter the username and password associated with your BeyondTrust user account. You can choose to have the BeyondTrust access console remember your login credentials. 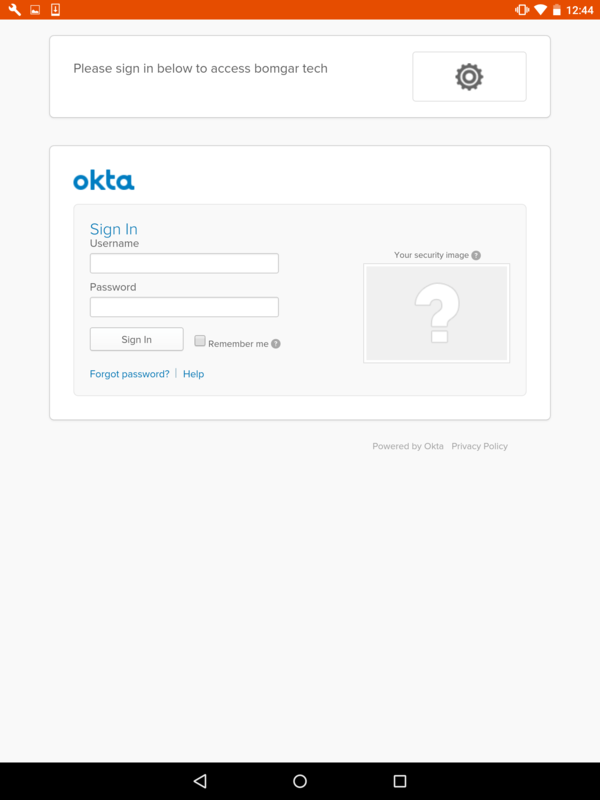 Then touch Login. For privileged users or vendors using the access console, you can choose to change the authentication method by touching the Username/Password label. Select Access Invite Key from the dropdown menu and enter the key you were provided. Your administrator may require you to be on an allowed network to log into the console. This network restriction may apply the first time you log in or every time. This restriction does not apply to access invites. 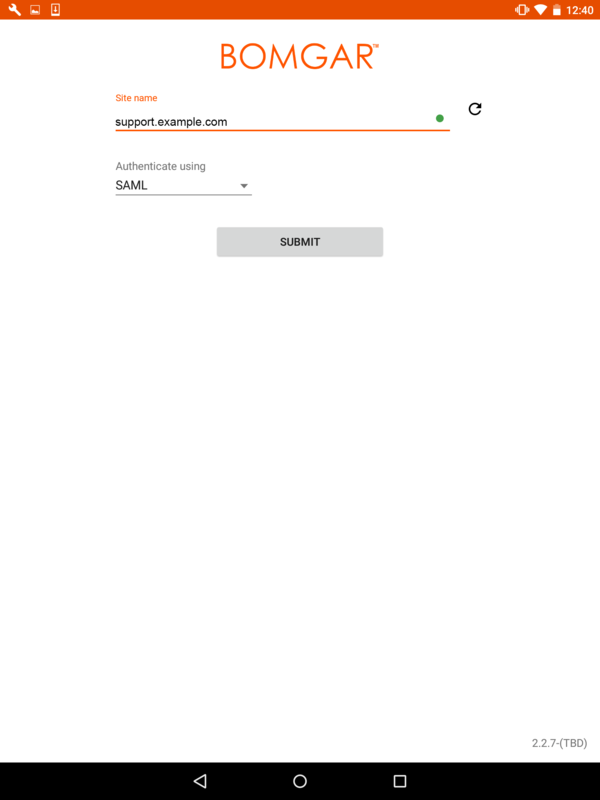 SAML for mobile provides an easy and secure method for authenticating to the Android access console. To learn more about SAML single sign-on, please see Security Assertion Markup Language. 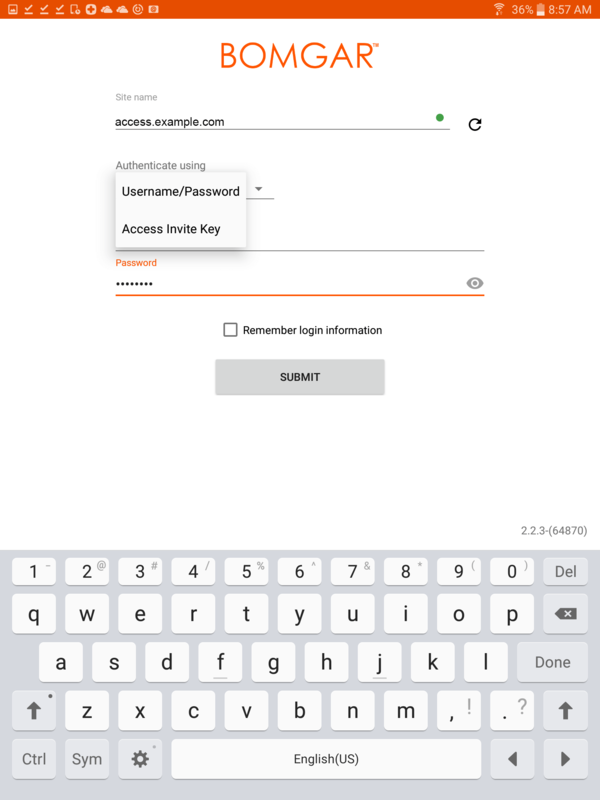 Follow the steps below to log into the Android access console using SAML. 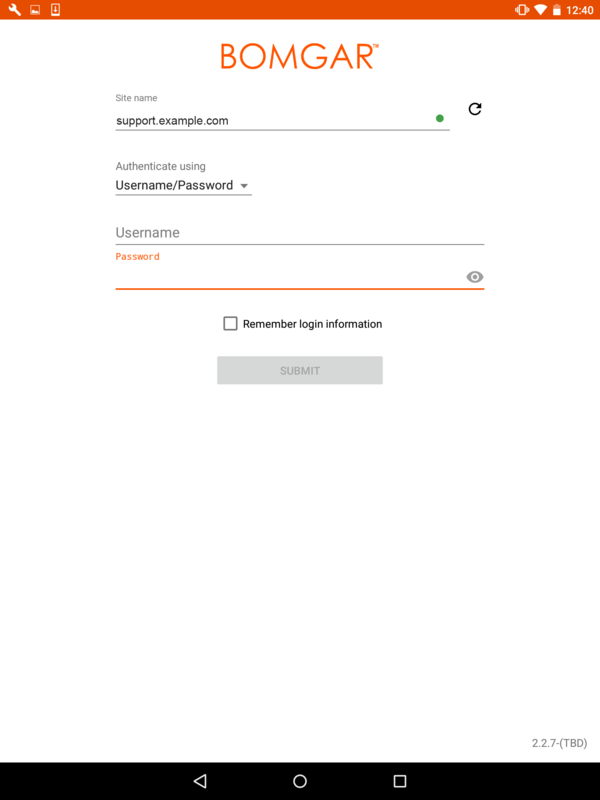 Before attempting to log into the Android access console using SAML, verify that a SAML provider has been configured for your /login administrative environment by going to Users & Security > Security Providers. 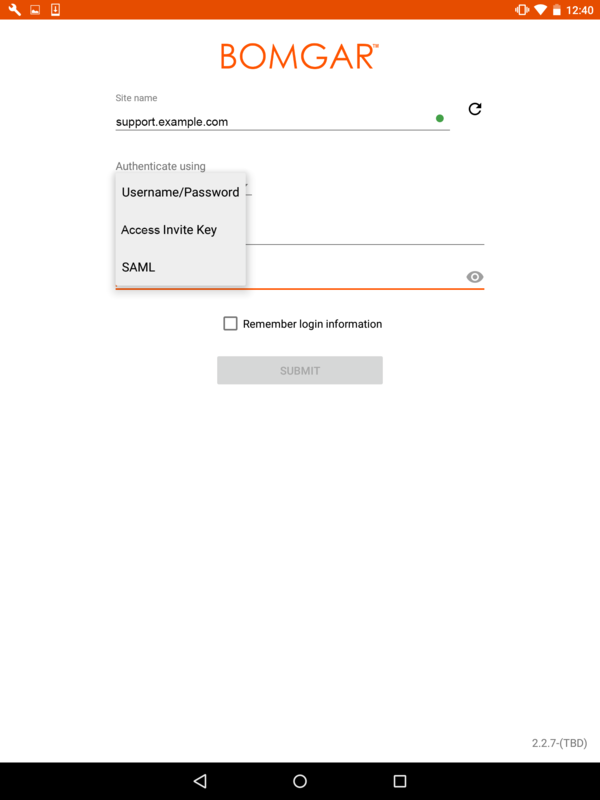 If SAML is not configured in /login, SAML is not available as an authentication method for the Android access console. To learn more about integrating SAML single sign-on into your BeyondTrust Privileged Remote Access environment, please see Create and Configure the SAML Security Provider. Tap the access console app on your Android device. Tap Sign In to access the console.